Late Wednesday night, strong indications emerged that the Minnesota Twins are set to hire Rocco Baldelli as the team’s new manager. FOX 9 Sports reports that he'll be announced at Target Field on Thursday. The 37-year-old from Rhode Island was the Major League Field Coordinator for the Tampa Bay Rays in 2018. He will become the 14th manager in club history. Rocco Baldelli is replacing Hall of Famer Paul Molitor as the Twins manager. Baldelli’s playing career was unfortunately cut short due to mitochondrial channelopathy, a rare disease that caused injury and fatigue. Baldelli finished third in Rookie of the Year voting in 2003 when he hit .289/.326/.416 (.742) with 32 doubles, eight triples, 11 homers and 27 stolen bases for the Rays. He missed all of 2005 with a knee injury and later Tommy John surgery. It was at this time his rare disease was first identified. He retired at 29 in 2010. 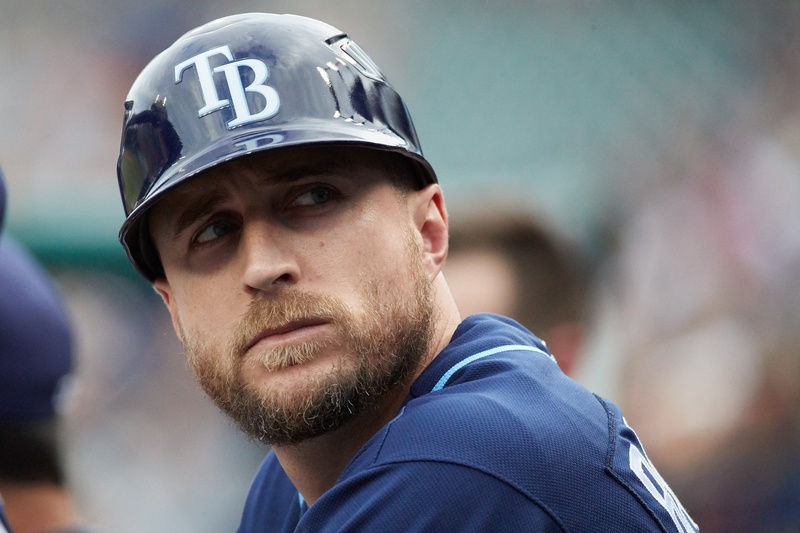 At that point, Baldelli joined the Rays organization in a coaching capacity. He spent three years as a roving minor league instructor and was a special assistant to the Baseball Operations. That's the same title Minnesota's front office has given to former players Torii Hunter, LaTroy Hawkins, Michael Cuddyer and Justin Morneau. In 2014, Baldelli joined the big-league coaching staff as first base coach, a role he kept through the 2017 season. After that 2017 season, he was named the Major League Field Coordinator. In that role, he worked on defensive skills with players. In addition, Baldelli is very smart. He posted a 4.25 GPA in high school and scored 1300 on the SAT. Among the colleges he was considering before the Rays made him the sixth overall pick in 2000 were Princeton and Yale. In a response to a Brandon Warne tweet about Baldelli, former Twins infielder Trevor Plouffe tweeted, “Rocco would be an awesome manager.” Plouffe spent about half of the 2017 season with the Tampa Bay Rays. Shelton was believed to be a leading candidate for the job as well before Baldelli impressed the front office. Others who were considered and received interviews include Twins hitting coach James Rowson, Giants bench coach Hensley Meulens, Cubs bench coach Brandon Hyde, and Astros bench coach Joe Espada. In recent days, the Reds named David Bell their new manager, and the Angels named Brad Ausmus as their new manager. The Twins are coming off of a 2018 season curtailed by injuries, unexpected poor performances and a PED suspension. The team finished strong to end the year with a record of 78-84. On Thursday morning, the Minnesota Twins officially announced that Rocco Baldelli will be their next manager. He is flying to Minneapolis this morning and there will be a press conference at 3:00 this afternoon. All things the Twins organization needs. If Baldelli is half the guy he sounds like then this should work out really well. Okay ... the off-season gets off to a good start, imo. Can I assume, Nick, that it was 2005 that he missed with a knee/TJ injury, not 2015? Seems like a good choice, if in fact he is their choice.If so, will be interesting how the coaching staff shakes out.See he had some time in Tampa with Shelton, don't know whether that means Shelton will stay..or not. Was expecting they wouldn't hire someone until the Series is over.Expect that means they were blown away by him and wanted to act before he was hired by someone else. Yes, finally some signs of life in the dugout. Robbie, you’re never going to bat cleanup again. Thad, you’re never going to stick a me with guys like Belisle or Wilson. They. Will. Not. Play. Also, call Esco stat. I believe he already re-upped with the D-Backs. Wow. This gives some new weight to everybody calling the team's higher ups "boy geniuses." Very happy for Baldelli, he's certainly a feel-good story. It makes me a little nervous that he's never managed, mainly because that mean's he's never handled a bullpen, but I'm positive he was grilled about that subject at length throughout the interview process. I look forward to seeing this club become Rocco's Modern Baseball Team. I guess Joe Espada was indeed a serious candidate, so nothing could be decided until the Astros' season was over. But apparently after talking to him the FO still liked Rocco better - or, Espada is leaning toward Toronto? And apparently there were no Red Sox or Dodgers candidates the Twins wanted to interview. So here we are. I'm glad they didn't drag this out. I have no independent opinion on the decision. Cautiously optimistic, because that's the way I roll. I have an uninformed opinion and am wholly optimistic!!! Yeah!! I always assumed the Rays would have more success if they were out of the AL East. Looks like the Twins are testing that assumption. With little to base it on, I like the hire. Young, seems forward thinking and smart, and not just another formula-following internal hire. Now get to the business of giving the man a roster that gives him a fighting chance to do his job. Yes on the non-formula hire. Hard to change the culture going forward by bringing in people of the past. I've read a little about Mr Baldelli and his is a tough story. I think this man is hungry after having something he worked his whole life for ripped away. After reading the lead in I would have been cool with them hiring Torii Hunter! I have no opinion on this - like most, I lack any real information beyond this article to make a judgment.The thing I am happy about is that Shelton did not get the job or any of the others already on this team.I see collective guilt for the team and if Molitor had to take the fall his right hand man, bench coach, should be seen as part of the same problem or why was he there?I do not like Shelton and he might be great somewhere, but it would not have been the right hire here. I don't know a ton about the guy, but young, full of energy, good communicator, analytic. All good things. This is the type of hire I wanted. I also have nothing much more than an uninformed opinion to offer. But wasn't Shelton also brought in by Falvine last year? Perhaps they keep him around since he is more "their type of guy", and worked with and alongside Baldelli in Tampa.